Fictional Alignment, Mike French’s sequel to the brilliantly bonkers An Android Awakes, should perhaps come with a disclaimer on its cover, warning readers that not only do they need to have read that book first, but they’ll probably have to read it once more before tackling the follow-up. 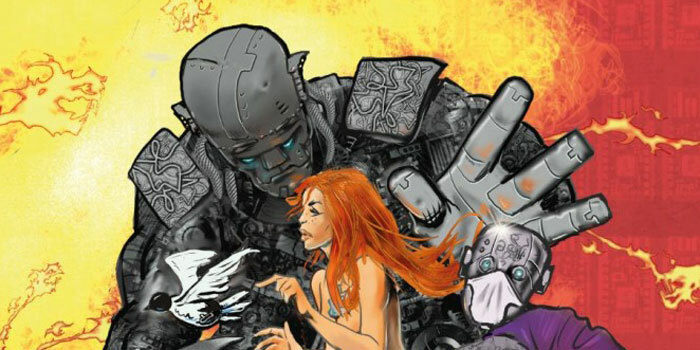 Fictional Alignment, which discards its predecessors’ graphic novel stylings for a more conventional prose novel format with occasional illustrations, doesn’t so much continue the events of An Android Awakes as embed its plot in-between that book’s every single word. Following on from android PD121928’s suicide in the first book, his love interest Sapphira has published a collection of his short stories in her name, violating the rules of an android society that has outlawed all fiction in the pursuit of fact. ‘Human’ is an instant bestseller and too ingrained in public consciousness to eradicate, so zealot androids Heisenberg and Tractatus are ordered to do the next most logical thing: travel back in time, with Sapphira as unwilling consultant, and perfectly re-enact the events of ‘Humans’ so that they are no longer recorded in the Digitised Treasury as fiction but fact. Heisenberg’s initial attempts to force history to play out Human’s eclectic tales involve kidnapping, murder and extortion. But after the first few missions, Mike French begins to push and stretch the premise in all manner of unexpected directions (including the origins of the Jesus myth), accumulating numerous supporting characters and weaving unexpected subplots into an epic journey that is knowingly convoluted, unapologetically tangled up in its own mythology and metafiction to glorious, and often hilarious, extent. 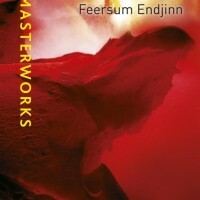 It’s a fantastic premise, albeit one which requires the reader to have an encyclopaedic knowledge of the first novel. Fictional Alignment would have benefitted immensely from a primer or “previously on…” prelude, something I’ve never before felt a novel needed. I remembered An Android Awakes with much fondness, but the minutiae of PD121928’s short stories regularly make for integral plot points here, and I was forever plagued by the sense that one would only get the most from Alignment by reading both books in conjunction. 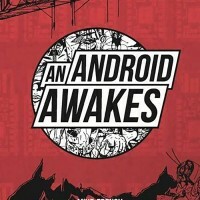 An Android Awakes was an oddly conflicted book, silly yet sophisticated, in turns inspired and hackneyed, hurried in parts and beautifully written in others, but carried throughout by a sense of dry wit that built towards something truly poignant. Fictional Alignment is that book dialled up to eleven, building on its predecessor’s ideas if never quite overcoming the same flaws. French is an excellent writer, capable of balancing very British humour with elegant and often beautiful prose, but I feel the book is in dire need of stricter editorial input. I lost count of the number of times I had to reread a sentence due to an errant comma. Some of the jokes miss the mark by several miles, with a few chapters attempting an antiquated style of sexist humour that would greater befit a bawdy seaside postcard. This is especially disappointing as Sapphira, a former prostitute whose bizarre life goal is to live forever, is a far deeper and more compelling protagonist than the cover might suggest. Such criticisms can be put down to the nature of small press publishing, and to reiterate a point made in my review of Android, this is a book so crazy and singular in intent that it’s everything small press and self-publishing should aspire to be. While the book occasionally trips over its own ideas, as something this grand and eclectic is bound to do, it’s never boring or short on style or ambition. My review probably reads far more negative than I’d anticipated, but overall I absolutely loved Fictional Alignment, perhaps even more than its antecedent. It’s quite unlike anything I’ve ever read. Mike French is a distinct voice in a genre that too often not only settles for the derivative but is expected to do so by its readers. While Fictional Alignment isn’t nearly as accessible as the tightly structured An Android Awakes, it’s a book that’s easy to admire for its faults rather than despite them. French’s writing has more in common with British comics than prose; it’s punky and anarchic, refreshingly (particularly for this genre) owing very little to the likes of Douglas Adams or Terry Pratchett but instead closer in tone to the cheeky satire of classic 2000AD than anything else I can think of. His idiosyncratic irreverence and boundless creativity make Fictional Alignment a demanding but unforgettable read.